On 2nd of September, myself and Rev. 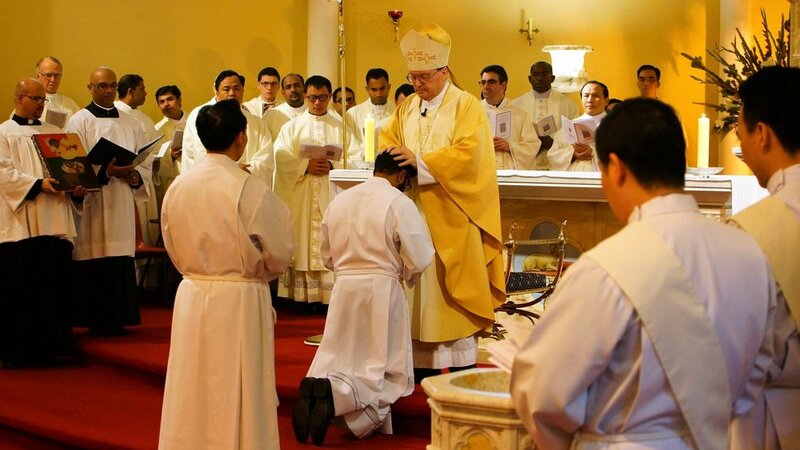 Hiep Nguyen, were ordained to the diaconate in the diocese of Sale by Bishop Patrick O’Regan. 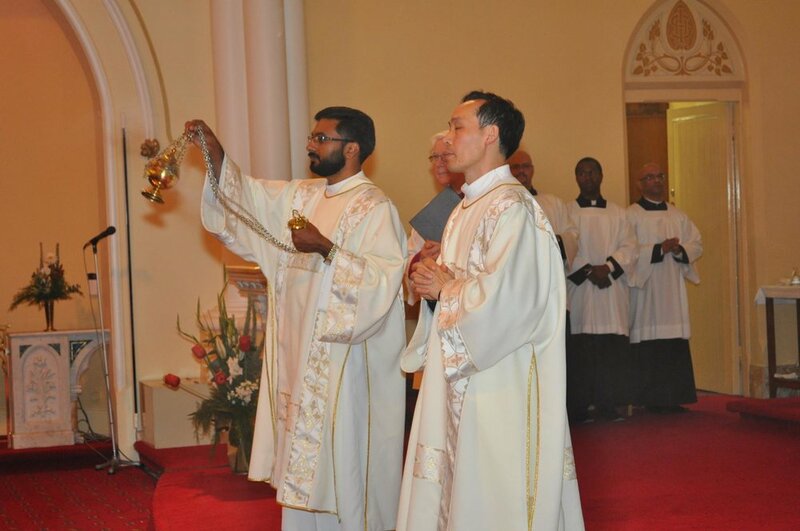 It was an important day in the history of our diocese, because the last ordinations to the diaconate took place about five years ago. More importantly it was the first ordination ceremony celebrated by bishop Patrick O’Regan after he became a bishop and also on the same day of his priestly ordination. The event took place in the presence of a packed cathedral. People from various parishes, priests and seminarians from Victoria and New South Wales, friends and relatives from overseas were present at the celebration. A diocesan choir was formed for the ceremony under the leadership Mrs. Sophy Morely. In his homily, bishop Patrick spoke to the deacons about the importance of ordained ministry in the church and what is expected of a deacon in their service to the people of God. On behalf of Rev. 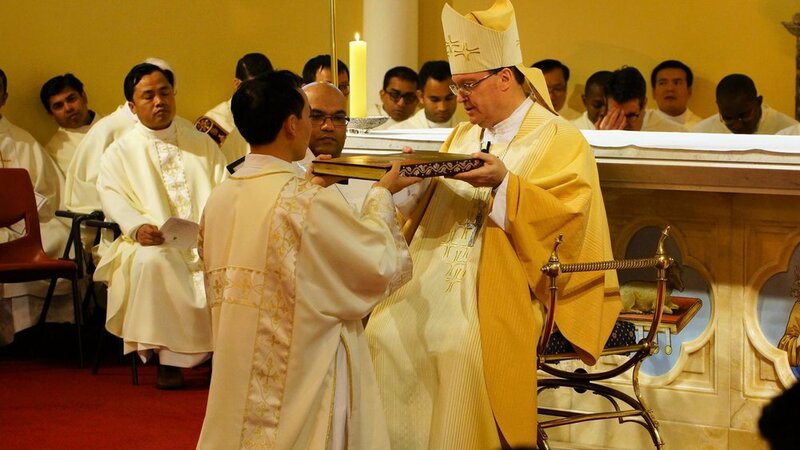 Hiep, I expressed gratitude towards all those people who were an instrument in our journey towards ordination. It was very important for me to ask the people to continue praying for us, so that we will always love God above all things and that we will give everything we have, everything we are, to the service of God’s people. We were congratulated outside the cathedral by applause from the clergy and the seminarians, who were present at the celebration. The celebration came to an end with the refreshments served at the St. Mary’s primary school hall.